Call me basic all you like, but I'm still such a sucker for anything rose gold. It's been my favourite hue for my jewellery for years, and I just can't help being drawn like a magpie to anything with that molten pink glow. I finally got the opportunity to have a new kitchen fitted at the end of last year, and it's full of the rose gold / copper touches which I love. 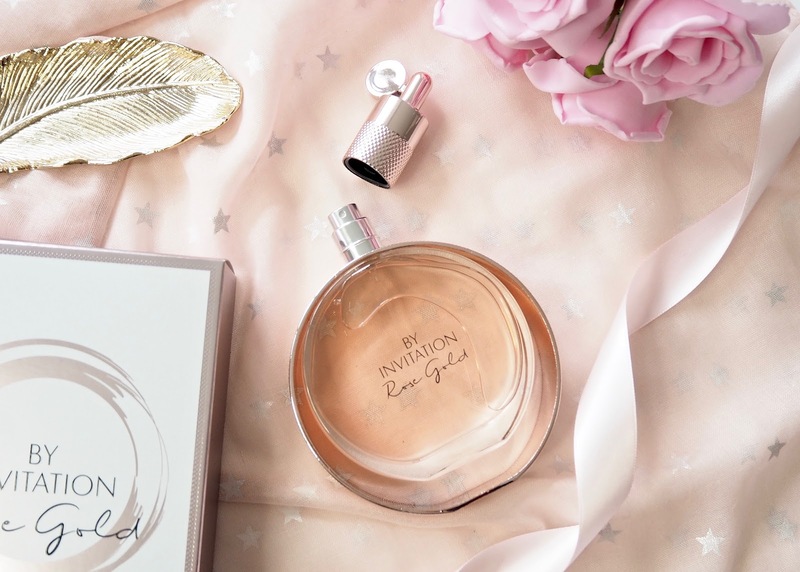 So as you can imagine, the launch of Michael Bublé's second fragrance - By Invitation Rose Gold - is right up my street. I’m so not a festival person - I pretty much have a phobia of camping and if I can’t wash my hair every day I freak out. Generally, festival hair, makeup and fashion are all things that pass me by - not relevant to me at all. I’ve never had the need to consider buying ankle length wellies, a clear PVC mac or any form of stick on jewels... until now. One of my friends talked me into going to a one day festival in June and suddenly I have all of the nothing-to-wear panic. I have no festival game going on at all, and I need to get myself some asap! 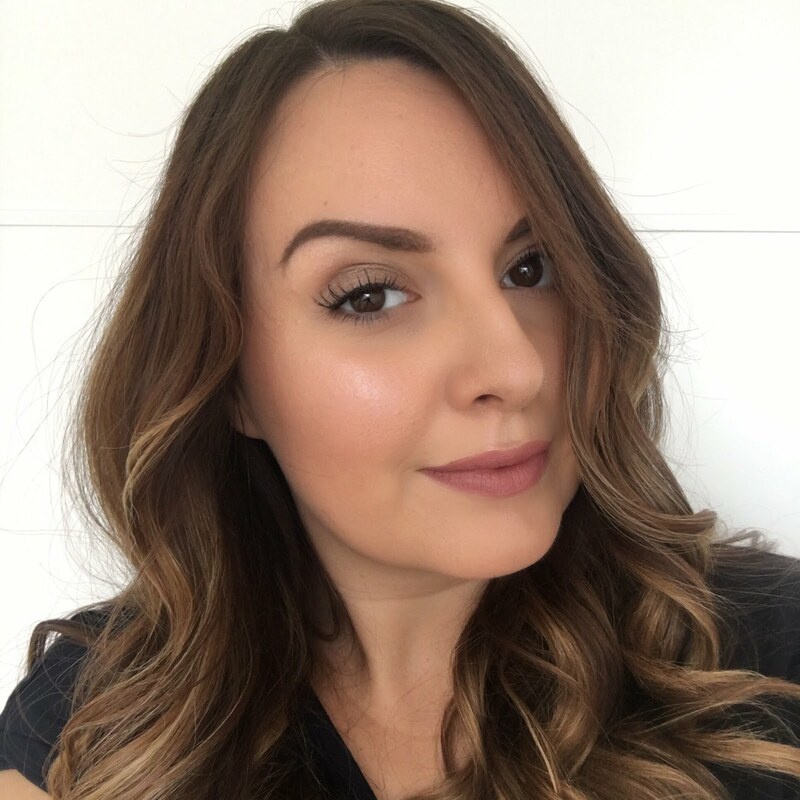 ghd very kindly gifted me their gorgeous professional styler in pure gold, so today we’re practicing festival hair to get me going with creating my fest-friendly look! I find it really annoying when a product is so hyped up that the brand just can't re-stock fast enough and I can't get my hands on it! 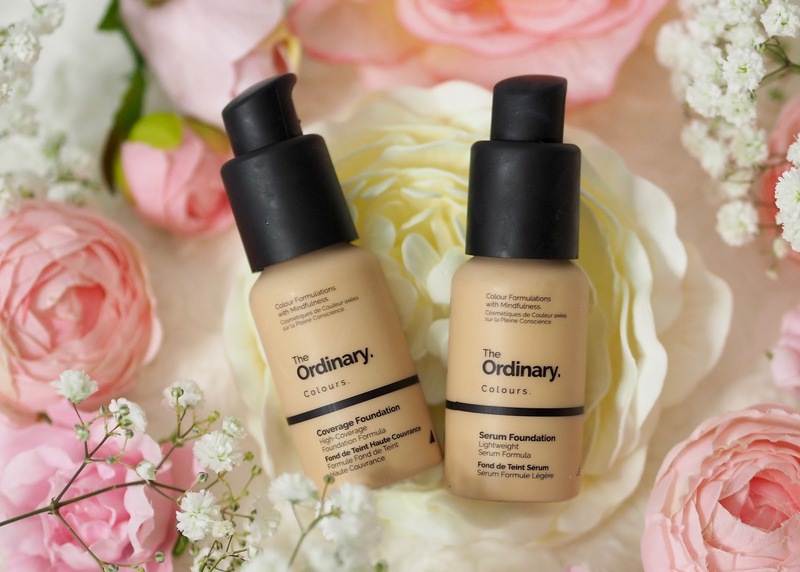 I'd pretty much given up checking for stock of the two foundations from The Ordinary when I heard that QVC were bringing out a four piece The Ordinary set including both foundations. It didn't matter than I'd tried the other two products before - I just desperately wanted to try those foundations! Well this is a well timed post from me for a change! I was already going to write about my winter skin favourites anyway, but oh my goodness what a way to put them to the test last week for #snowmageddon... Where I live on the border of South East London, we must have some kind of micro-climate of our own, because we didn't get much snow at all compared to most. Even people only a mile or two away seemed to be getting snowed in. Despite the lack of fluffy white inches where I live, we still had absolutely freezing temperatures to contend with, and spent the entire week moaning - natch. I've heard in the past that sleeping on silk is really good for your skin and hair, but I thought maybe it was just one of those beauty "old wives tales". 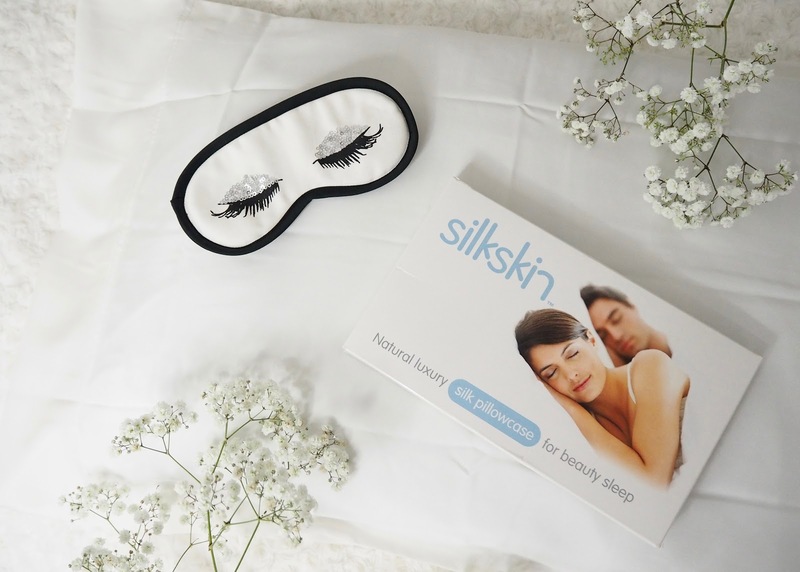 When I was offered the opportunity to try out a silk pillowcase from Silkskin I was certainly keen to give it a try - if anything I thought it sounded pretty fancy and luxurious to sleep on silk! 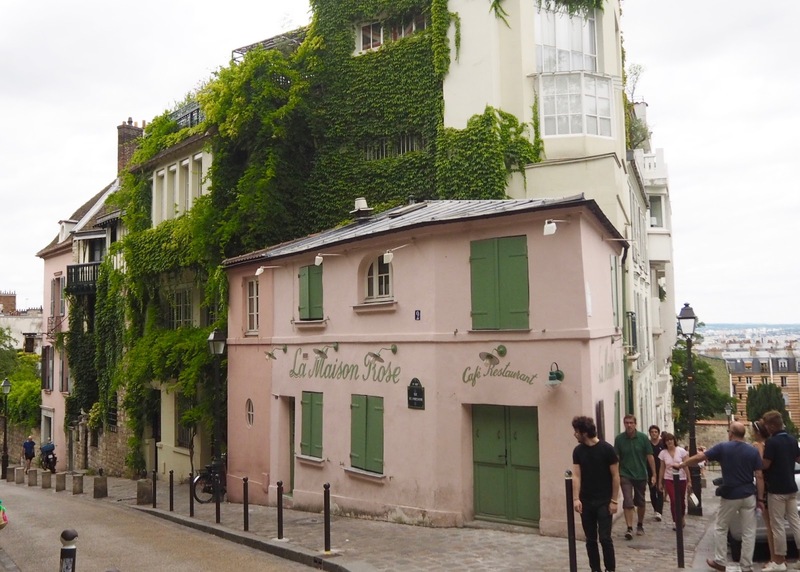 Over the past few years I've become such an advocate for mini-breaks, city-breaks and short haul last minute getaways. There's just so much that appeals to me about being able to get away even just for a long weekend - it's the perfect way to recharge and get a break from the every day grind, plus with several mini breaks rather than just one longer holiday in the year, I have lots more to look forward to and it's easier to beat the post holiday blues! 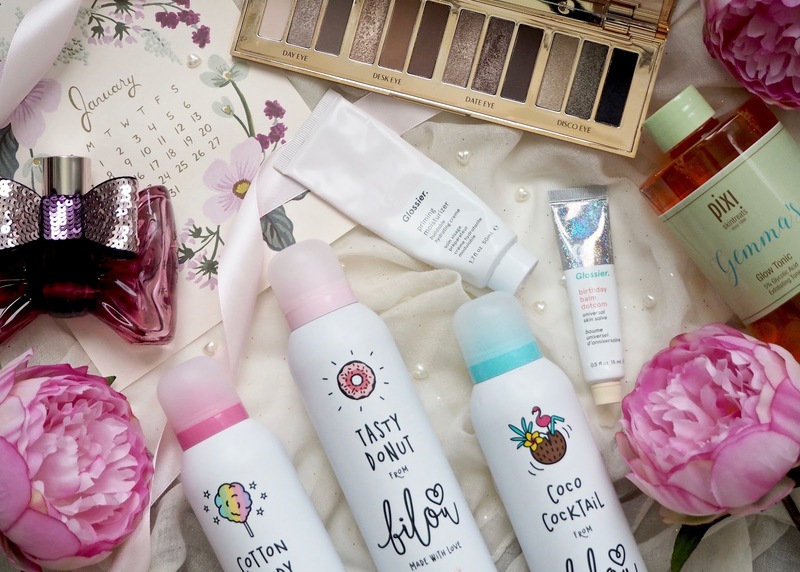 I thought it'd be nice to get back into doing favourites posts this year, as there are so many products I love which I just don't end up sharing with you otherwise. I'll stop if things get a bit samey month to month, but recently I'm really trying to shake up my stash a lot, rather than sticking with the same safe (boring) look every day, and maybe a few sneaky purchases have started creeping in too! I love liquid lipsticks - the pigment, the staying power, the bold look and matte finish. 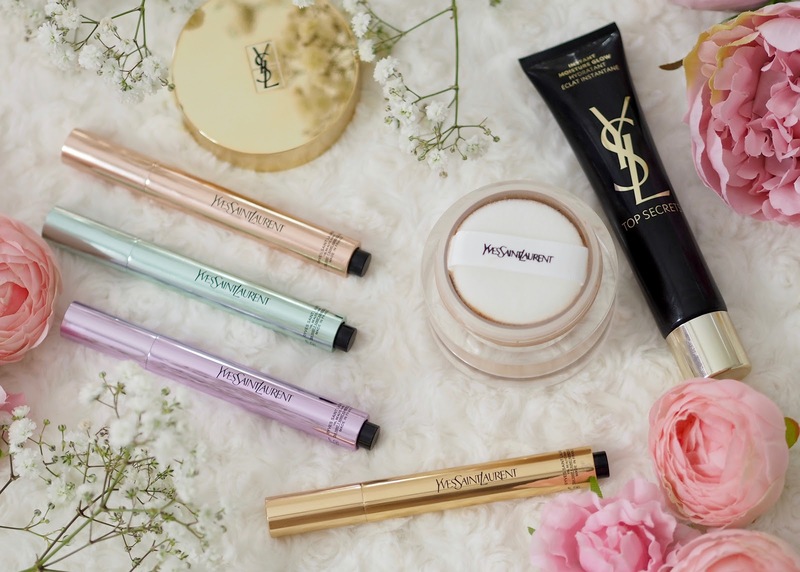 If the trend for sheer, sticky, shiny lipglosses is on its way back anytime soon then count me out, because I just won't be able to let go of my beloved liquid lipsticks! 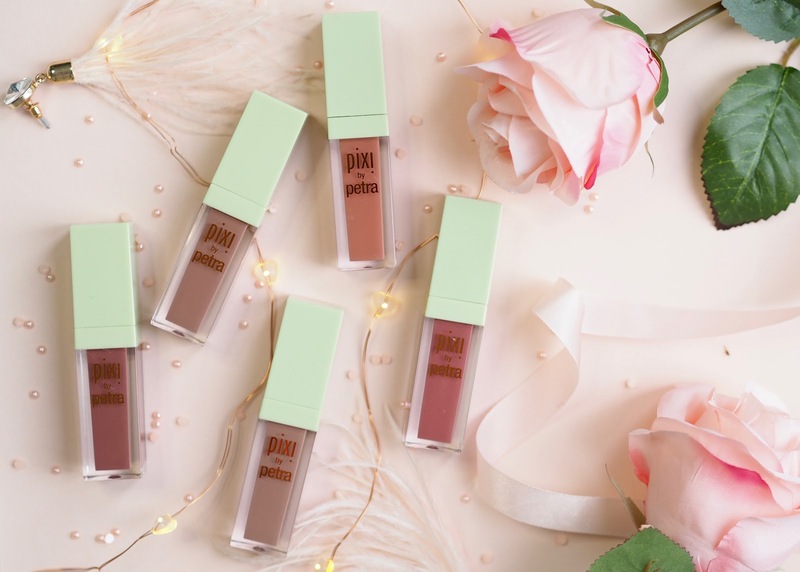 The latest additions to my long list of liquid lip loves are the MatteLast Liquid Lips from Pixi and all of the neutral and totally wearable shades are my absolute jam lately. The Tarte Shape Tape concealer is one of those really hyped up products - so much so that it used to be impossible to get hold of. It's been around for a few years now and it's been on my wish list for the whole time. I tried to get hold of it on a couple of trips to the states and once it became available on QVC I never managed to catch my shade in stock. After Christmas I was browsing all of the online sales and ended up with a couple of things in my basket from Tarte and found that they had Shape Tape in stock in a light medium shade, so I added it straight to basket. 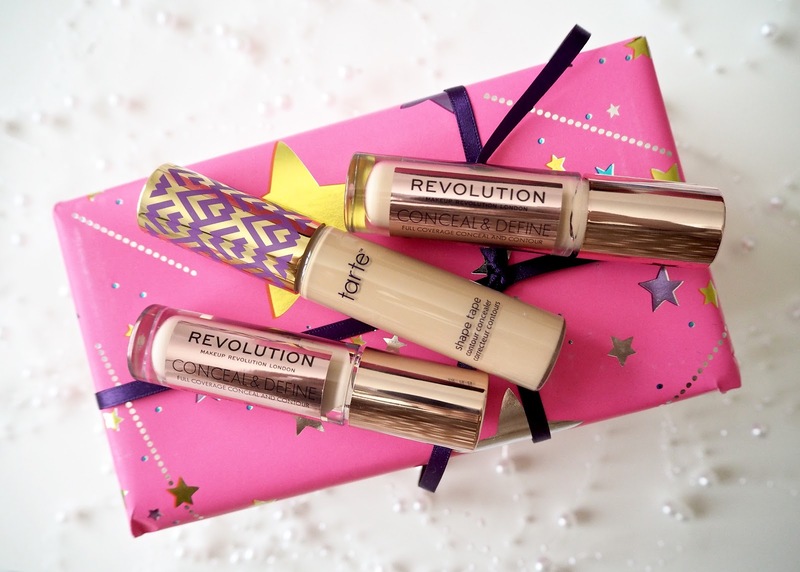 The irony is that a few days later, before my Tarte order arrived, I found out that Makeup Revolution had released a dupe. I thought I may as well give it a try, so I grabbed two shades to compare when my Shape Tape arrived. 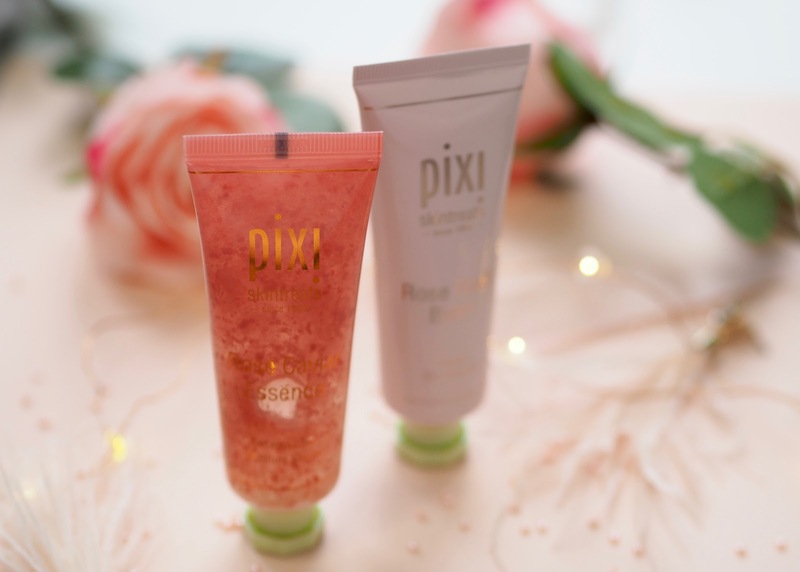 Now of course I know that product performance is what really matters, but forgive me for a minute while I swoon a little over how beautiful these latest additions to Pixi's rose skincare line really are. Just look at the caviar essence - it's begging to be instagrammed. I nearly wrote "could this BE any more instaram-able?" which tells me I've been binge-watching far too many episodes of Friends since Netflix got all the seasons back! 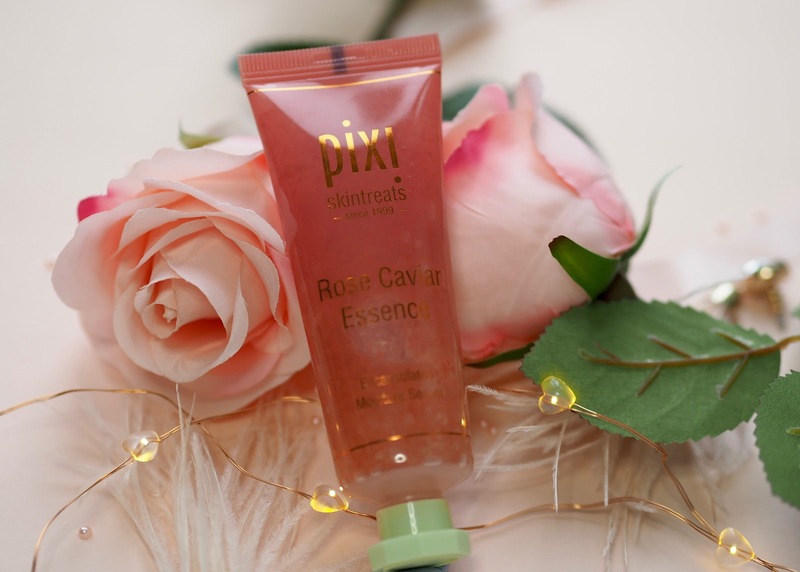 Previously I've used the Pixi rose oil blend which I really miss and need to re-purchase, and the rose water Makeup Fixing Mist which is one of my every day favourites in my routine, so I was expecting I'd rather enjoy these two new additions. This is one of those products that almost slipped into my 'too pretty to use' category, but I'm glad I fought my hoarder tendencies on this one because this is a wonderfully hydrating serum that's been keeping my dehydrated skin happy without being too rich or oily. 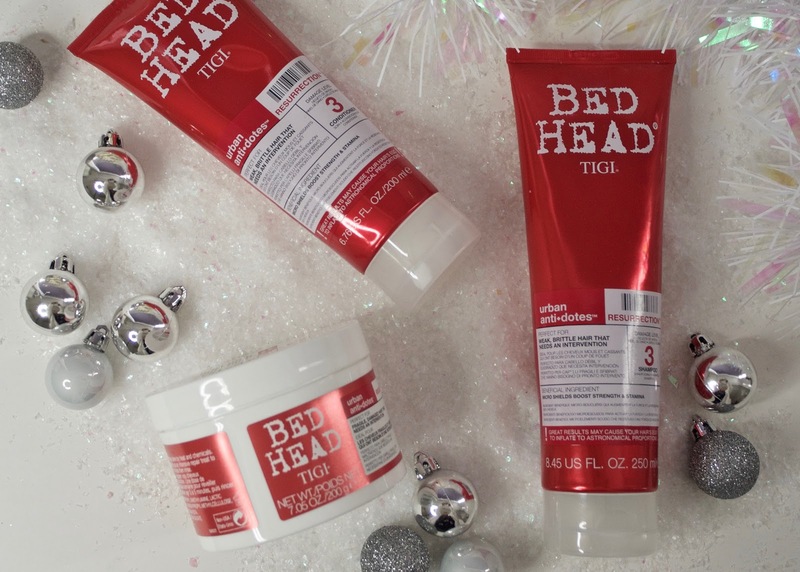 The formula is really lightweight and it feels almost like water on the skin. I've been using this on clean skin after cleansing and using my Glow Tonic. It really calms my skin, especially the redness that I get in my cheeks and absorbs really quickly and easily. I've then been adding a touch of a richer moisturiser for the driest areas of my face including under my eyes and around my nose and mouth. I think this serum will be one that I'll really enjoy using in summer when some of my other moisturising products can become too heavy for me in the warmer weather when my skin reverts to being oily. 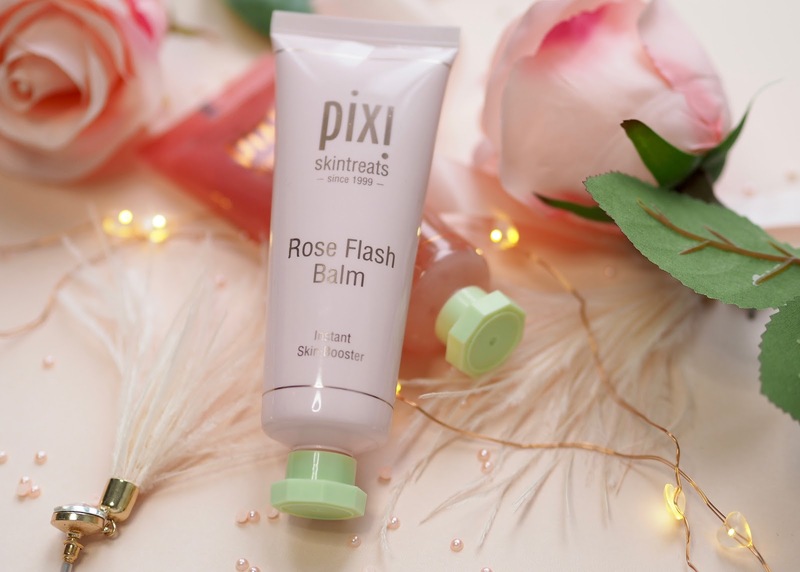 The rose flash balm is a gorgeous multi-use product for dull, tired skin and it's just what my skin needs at this time of the year. 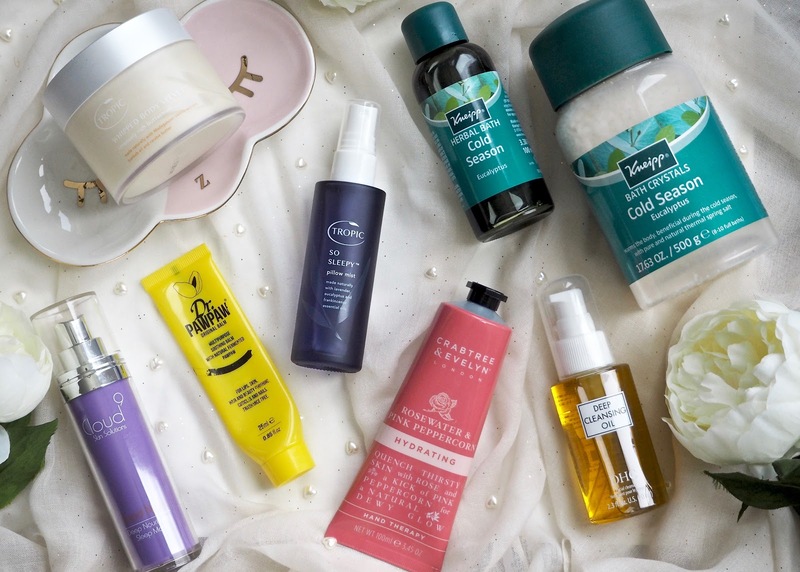 You can use it as a moisturiser, directly under makeup as a primer, and also as a five minute mask to give the skin a pick me up and to add radiance. The balm contains rose water which makes the product smell beautiful as well as being soothing and hydrating. I love applying a little of this as a quick mask to perk my skin up, but I've also found it acts as a great primer under any of my more drying foundations. My top tip with this is to apply foundation on top with a sponge rather than a brush as otherwise I've found I can disturb the priming layer. Also I make sure not to use too much of the balm as a primer - a little goes a long way and it adds just the right amount of glow and slip to get a natural and more dewy finish. 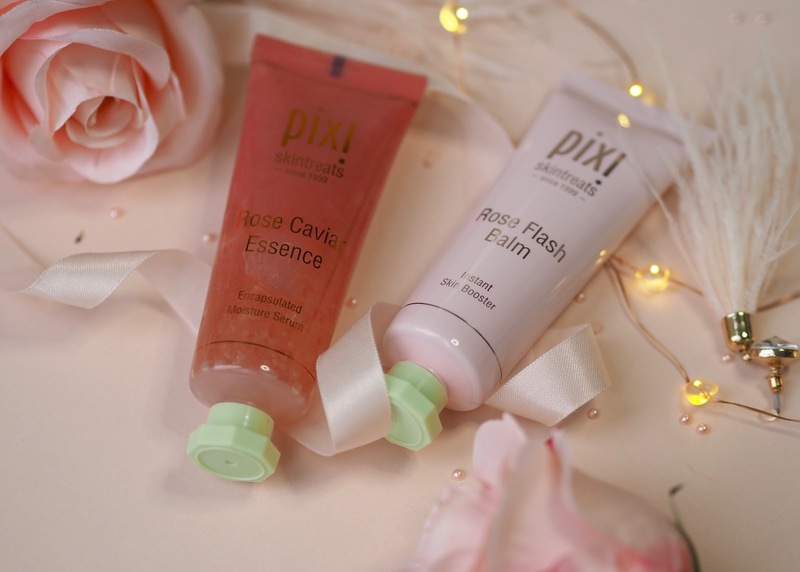 The Pixi Rose Caviar Essence and Flash Balm are available now at Pixibeauty.co.uk and I also have my eye on the new rose cream cleanser and the rose version of glow tonic! Embyolisse has until fairly recently been quite an elusive brand for me. 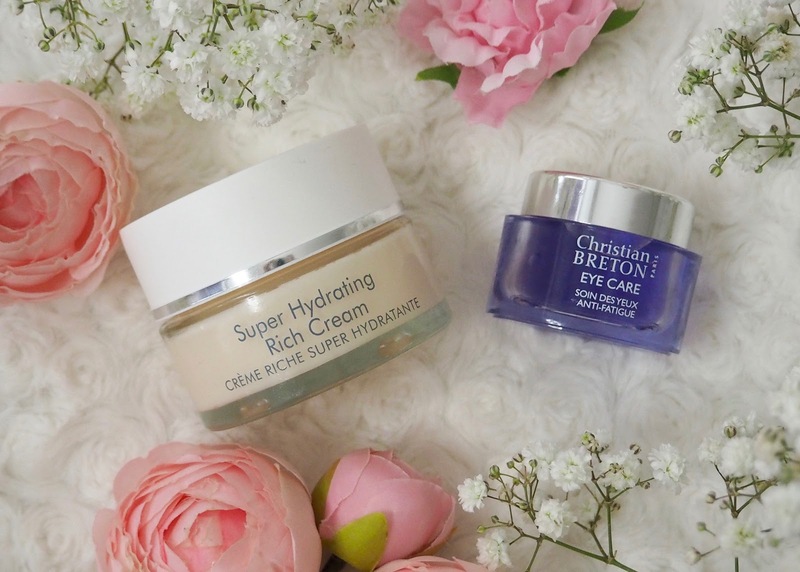 A good few years back now, maybe as many as five, I tried their cult Lait-crème concentré which is hailed as a makeup artist's secret weapon and sadly, I was thoroughly disappointed. I had oily combination skin at the time, with the oily part being super oily, and I couldn't get this to work for me as a makeup base - it was far too rich for my skin and my makeup literally slid off! Fast forward several years in the ageing process and whilst my skin is still combination, I suffer more with dryness than anything else and it's the ideal time to give some Embryolisse another go. 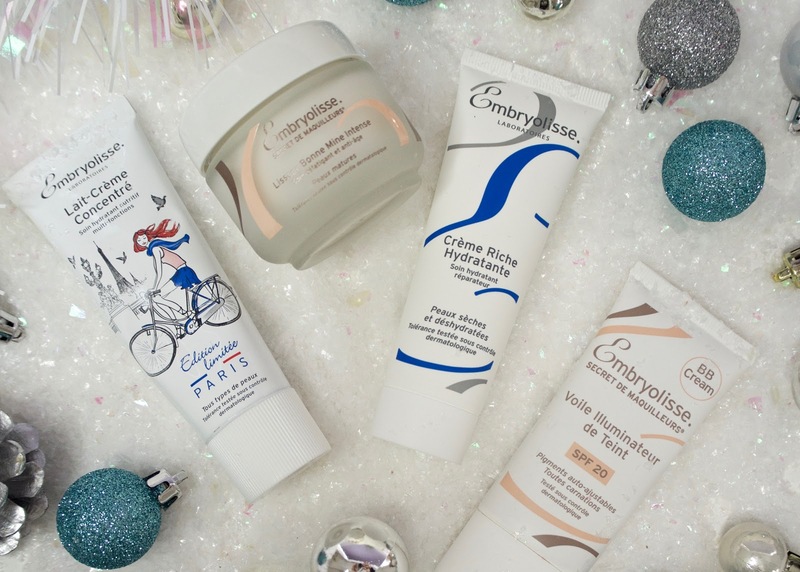 I knew I'd be onto a winner trying Embyolisse moisturisers again as for a while now I've been in love with the Embryolisse BB cream, which never clings to my dry patches and goes on like a dream. Embryolisse, we've had our ups and downs, I still can't pronounce your name correctly, but I think we're ready to be great friends!